That’s a very simple quote from a very important chapter in “Thinking, Fast and Slow” titled The Lazy Controller. I personally have a lot of work to do on this front. As an athlete, I was much better at this than I am as an investor – control what you can control. It required some attention and effort to sell into the stock and commodity market inflations inspired by The Bernank Tax last week. With the S&P futures trading at 1305 this morning, US stocks are down over -2% from Thursday morning’s intraday 2012 high of 1333. With China coming back from the holiday closing down -1.5% overnight, it looks like I should have sold that too (I sold everything else). The Chinese do not appreciate US policies to inflate because food and energy inflation slows Chinese growth. I make a lot of mistakes. The biggest ones tend to occur when I either get influenced by someone else’s process and/or when I don’t let the market stop me out of my own. Thinking fast about the immediate-term while thinking slow about the long-term is the holy grail of being at what Kahneman calls “cognitive ease.” I can’t work any harder – so for me, at this stage of my career, my goal is to work smarter. But, most of the time, that’s our over-supplied profession’s short-term cross to bear more than it is my own – and we can turn that regressive energy into positive P&L by coming to the most straightforward conclusion, fast. This is the #1 reason why I am such a bull on stabilizing/strengthening the #1 factor in my Global Macro Model that drives short-termism in global market prices/volatilities – the US Dollar Index. 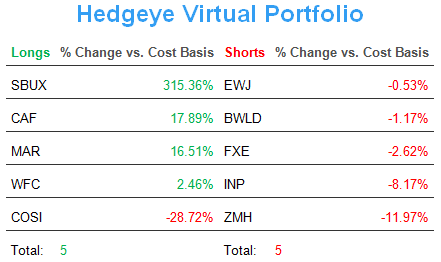 If you go back and analyze every single big investment mistake I have made in the last 13 years (I have), unless there’s something like a take-out in one of my short positions (I was short Reebok when Adidas bought them), almost all of the time I was long something where Growth Slowed and Margins Compressed. That’s why I think, fast and slow, about Countries/Economies this way. Ultimately, on the margins of Growth and Inflation, they act like companies. I know there’s a lot of controversy around my macro views. I know there’s a lot of emotion in what we do. I know I should have been long Gold last week. I know what I know. What I don’t know is what really matters to me. 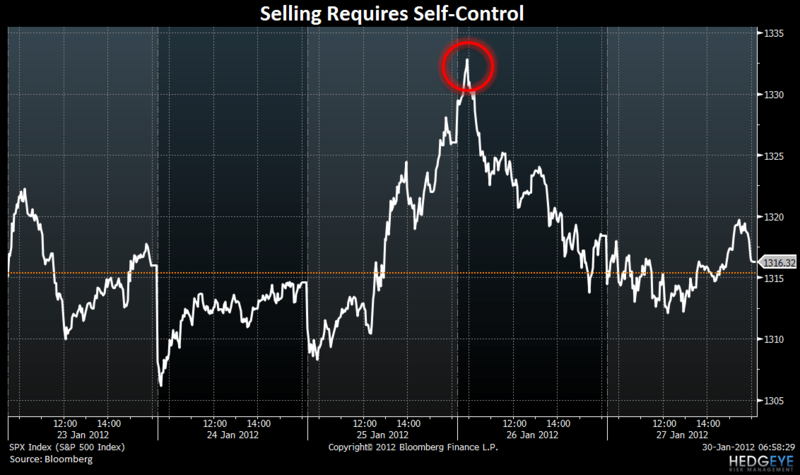 That’s why I need the Self-Control to Embrace Uncertainty and let the market tell me what to do next. My immediate-term support and resistance ranges for Gold, Oil (Brent), EUR/USD, Shanghai Composite, German DAX, and the SP500 are now $1, $110.12-112.06, $1.29-1.31, 2, 6, and 1, respectively.